How did the world’s oceans fare in 2011? I examine the most notable ocean winners and losers of the year. Sharks had some good wins this year. In hopes of saving sharks from the high demand for shark fin soup in Asia — several U.S. states aided these ocean giants with much needed protection. Hawaii’s ban on shark finning took effect in 2011 and several West Coast states, namely California, Oregon and Washington, all passed laws this year banning possession and sale of shark fins from waters off their coasts. Along the U.S. East Coast, Florida also took a significant step to protect several species of hammerheads and the tiger shark from being fished out. On a national scale, President Obama signed the Shark Conservation Act in January to strengthen existing laws banning shark finning in U.S. waters. Across the pond, a delegation of international commissioners voted to protect silky sharks in the Atlantic Ocean, a good first step to protect the decline in sharks in international waters. Much more is need on an international scale to protect sharks and other long-distance swimmers, such as tuna and swordfish. 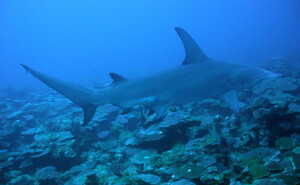 According to shark expert and science blogger David Shiffman, several shark sanctuaries were established in 2011, including in Honduras, the Bahamas, and a nearly two-million square mile zone off the Marshall Islands, Guam and Palau. Speaking of ocean sanctuaries to protect marine life, Australia made news in late November by proposing the world’s largest marine reserve in the Coral Sea. This is an important step toward protecting ocean ecosystems and biodiversity. A scientific study published this year showed that ‘networks’ of marine protected area in the Coral Sea do work to protect fish stocks. The efforts of a dedicated group of ocean conservationists, including Her Deepness Sylvia Earle, will help the international community reach the UN Convention on Biological Diversity’s goal of having 10% of the global ocean protected by 2020. 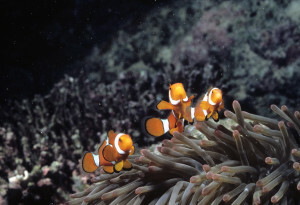 Several ocean losers were also documented in the oceans in 2011. 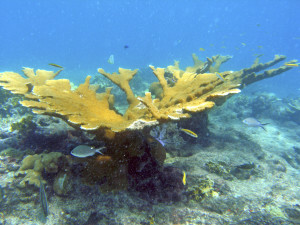 The World Resources Institute revisited the state of the world’s coral reefs in the Reefs at Risk report. The report shows that nearly 75% of the world’s coral reefs are in dire straits due to overfishing, pollution and unsustainable management practices. Despite the devastating BP DeepWater Horizon Oil Spill in the U.S. Gulf of Mexico, oil and gas companies haven’t changed their environmental ways this year. 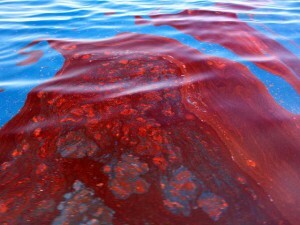 In Brazil, Chevron leaked over 3,000 barrels of crude oil off the coast of Rio de Janiero and Shell let more than 40,000 barrels of crude oil spill into the Atlantic Ocean from their Shell off the coast of Nigeria. These environmental disasters will have long-term impacts on the health of the global oceans and the local communities that depend upon a healthy ocean. I hope 2012 brings more efforts for the ocean winners and long-term solutions to mitigate impacts of the ocean’s biggest losers before it’s too late.